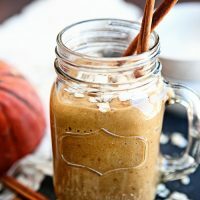 This Pumpkin Oatmeal Breakfast Smoothie is the perfect way to celebrate fall with your kids! It is easy to prepare, super healthy and full of all your favorite fall spices. I love Autumn because even though it brings chilly air and rainy days with it when it rolls into town. It also comes bearing gifts. I’ve been looking forward to the changing colors on the trees, the upcoming holidays, and all the pumpkin goodness that happens this time of year! 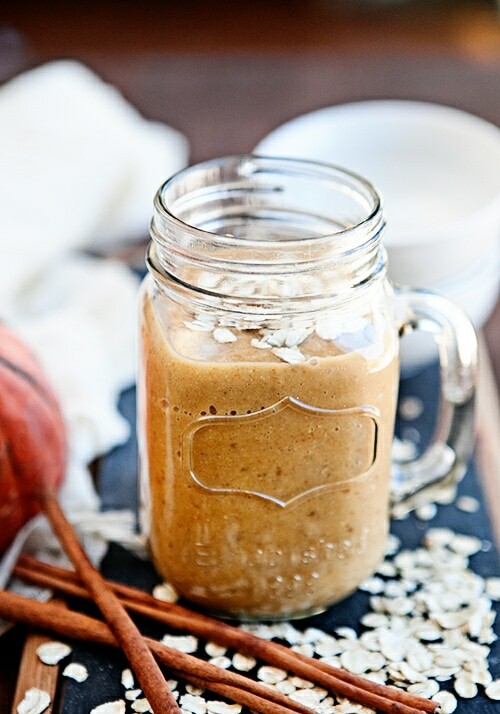 Click and save this Pumpkin Oatmeal Breakfast Smoothie to Pinterest! When the calendar turns to October, I fill the menu with every pumpkin recipe I can get my hands on. For me, pumpkin is the surest sign that Autumn has arrived. I love pumpkin so much that I have a whole Pinterest board dedicated to Pumpkin Recipes. This Pumpkin Oatmeal Breakfast Smoothie is one of our favorite pumpkin recipes right now. It’s a healthy, yet delicious, way to start the day. 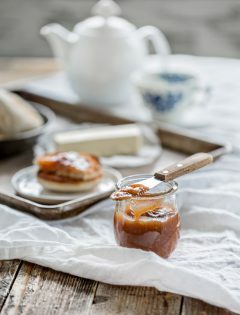 Plus, tasty pumpkin recipes on the breakfast table make it easier to deal with the darker mornings and the chillier air we’ve been waking up to lately. I really love smoothies for breakfast. 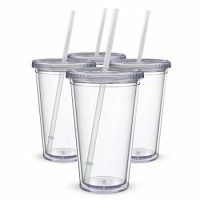 They are something I can pull together quickly in the mornings while everyone rushes around like headless chickens. Mornings during the school year are crazy at our house. We are not those people who have figured out a calm, solid morning routine. We are, however, those people that believe a healthy pumpkin smoothie alleviates the problem. 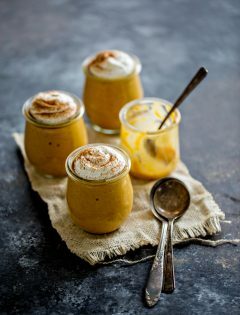 The best thing about this particular pumpkin smoothie recipe is that while it is healthy, packed with vitamin A, protein, and whole grain goodness, it tastes a lot like a yummy slice of pumpkin pie. 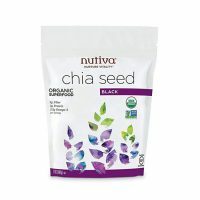 Breakfast that tastes like dessert but is healthy like a bowl of oatmeal? The kids want on that train too! We’ll be eating pumpkin pie too, of course, because as far as I’m concerned, pumpkin desserts are as good as it can get. But since it’s harder to justify a slice of pie at 6 o’clock in the morning, I’ll settle for the next best thing. A pumpkin smoothie – complete with all the health benefits of a plain old bowl of oatmeal, that tastes like pie. 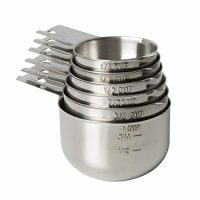 They freeze well, so make a double batch and keep some on hand for busy mornings. 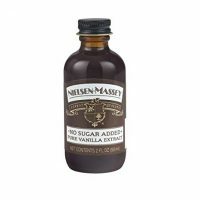 They will make your house smell amazing while they bake. What is your favorite fall pumpkin recipe? 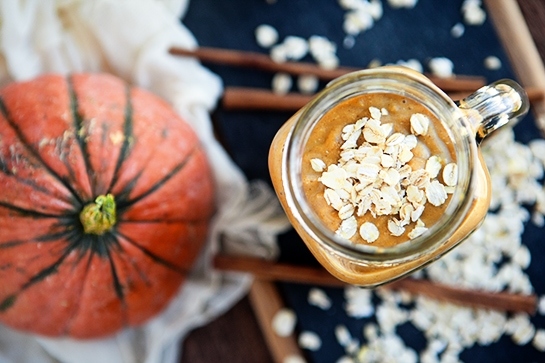 Love this recipe for Pumpkin Oatmeal Breakfast Smoothie? This Pumpkin Oatmeal Breakfast Smoothie is the perfect way to celebrate fall with your kids! It is easy to prepare, super healthy and full of all your favorite fall spices. What isn’t to love about a smoothie recipe that tastes like pumpkin pie? 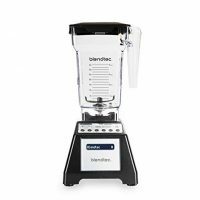 Place the rolled oats in a high powered blender and pulse once or twice to grind the oats to a coarse powder. 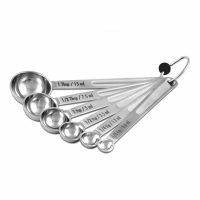 Add in the remaining ingredients in the order listed and pulse until smooth. Add more milk to thin, if desired. 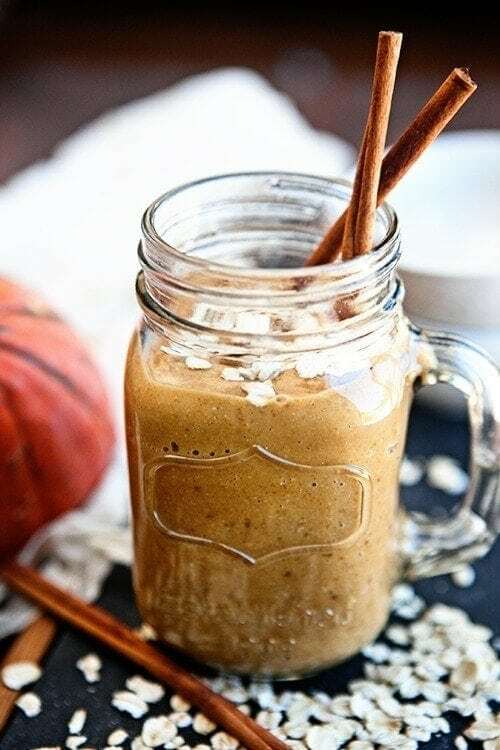 Let me know if you try this Pumpkin Oatmeal Breakfast Smoothie recipe and what you think of it by leaving a comment below. 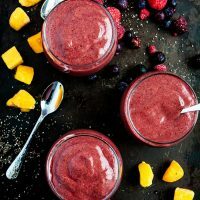 In this Berry Mango Kale Smoothie, Wild Blueberries, Strawberries, Red Raspberries and Blackberries are combined with Mango, Fresh Kale, Chia Seeds, and Orange Juice for a refreshing smoothie. 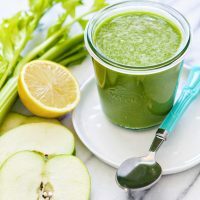 You can adjust the ingredient amounts according to your personal preferences - making it more green or less, thicker or more like juice, etc. 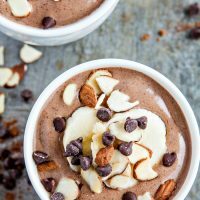 This Chocolate Almond Banana Smoothie is a delicious and healthy afternoon pick me up. 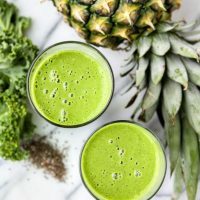 This Pineapple Coconut Kale Smoothie is loaded with good things like coconut oil, chia seeds, and kale. PLUS, it tastes a little bit like a Pina Colada.